1921 Squadron (Lewisham) Air Training Corps. 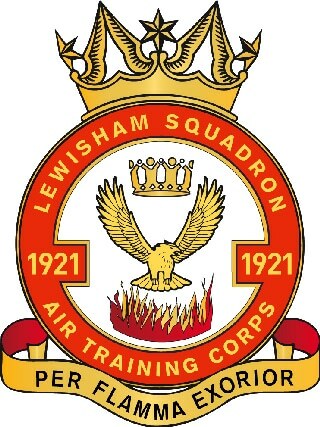 Welcome to 1921 (Lewisham) Squadron’s website. Lewisham Air Cadets are part of the Royal Air Force Air Cadets providing aviation & adventure to the young people of Lewisham since 1942. We aim to help young adults discover the best in themselves: having adventures, fun and training opportunities they never thought would be possible. From flying and gliding, to sports, adventure and the Duke of Edinburgh’s Awards, our cadets are active and really getting the most out of what we can offer. Lewisham Air Cadets have been in the heart of the Lewisham community since 1942. We have been in three locations over our history, but we have always served the young people of the Borough by delivering aviation and adventure training to our cadets. As part of London Wing, we have a unique relationship with the City of London, highlighted by our affiliation with the Worshipful Company of Fletchers and the regular opportunities for cadets to take part in unique ceremonial events on the national stage.